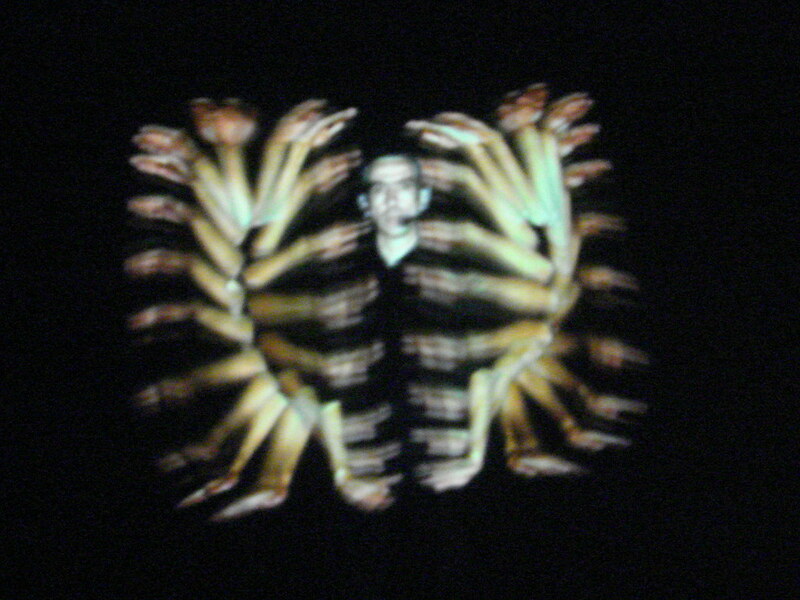 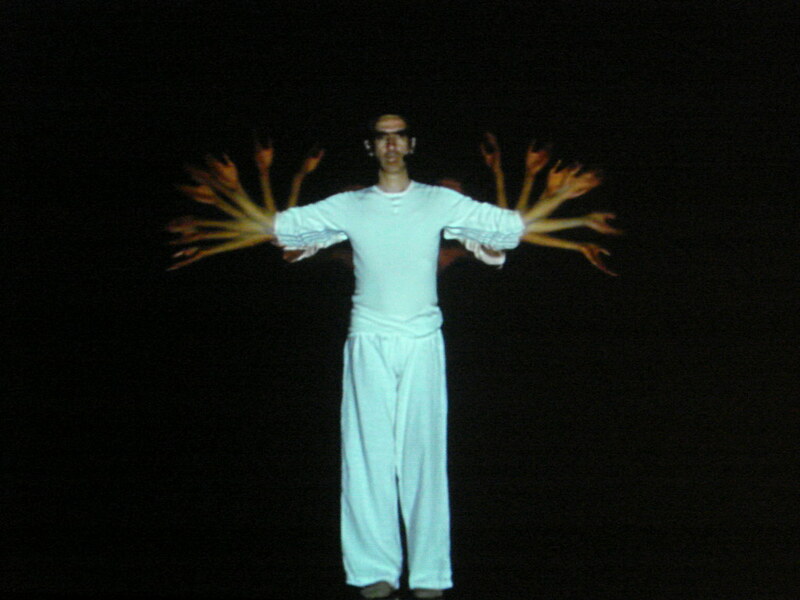 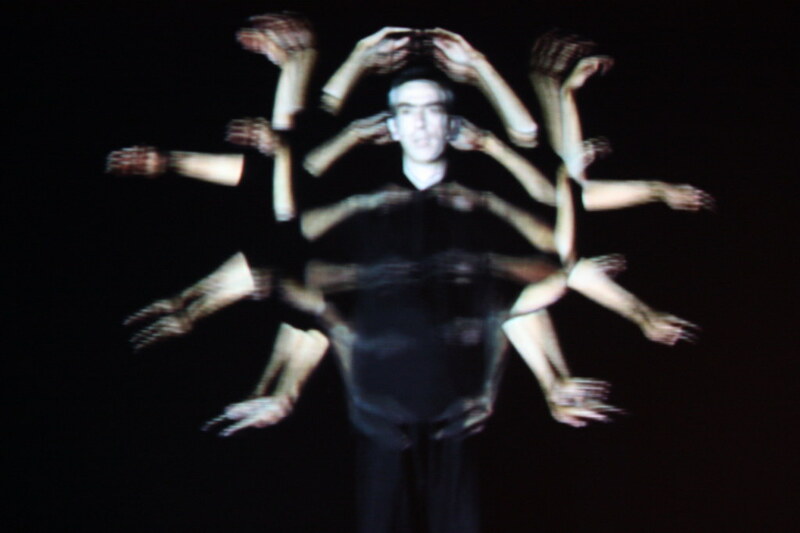 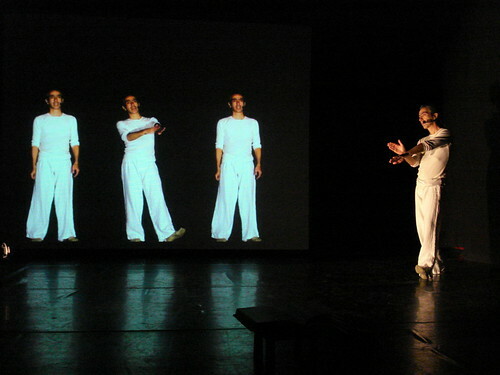 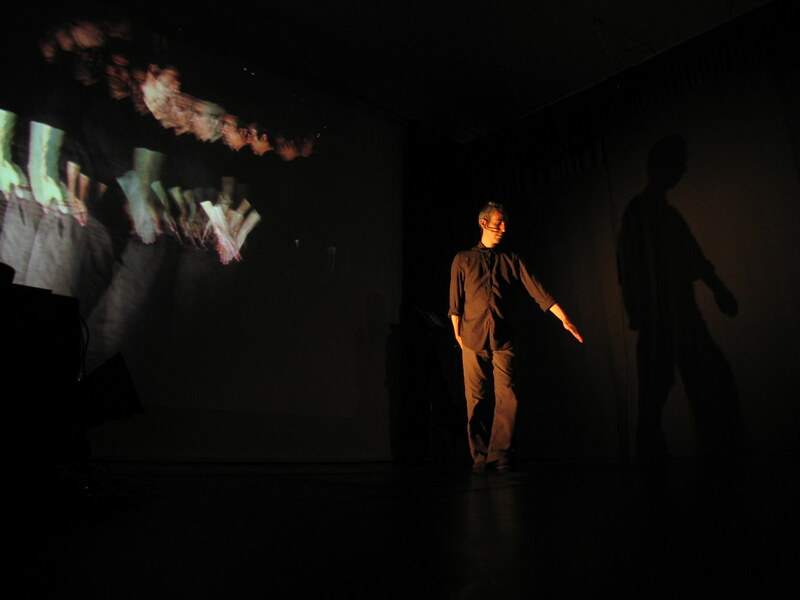 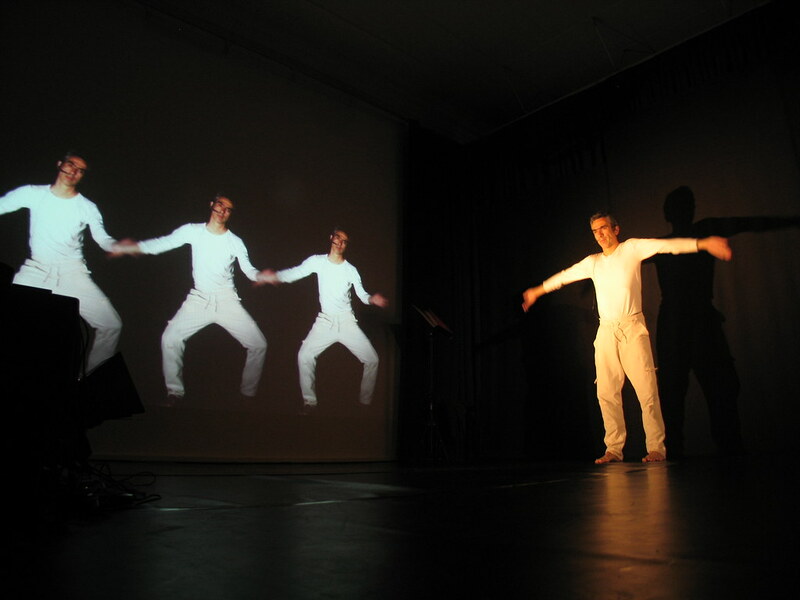 Real-time sampling play, an experimental performance in which time connects the relationships between interactive audiovisuals, the spoken word and gestural performance.  Delay, repetition, polyphony and other concepts used in sound are applied to digital polypoetry. This project was conceived and developed at the interactive arts lab organised in the lead-up to the IDN festival in Barcelona in 2007. 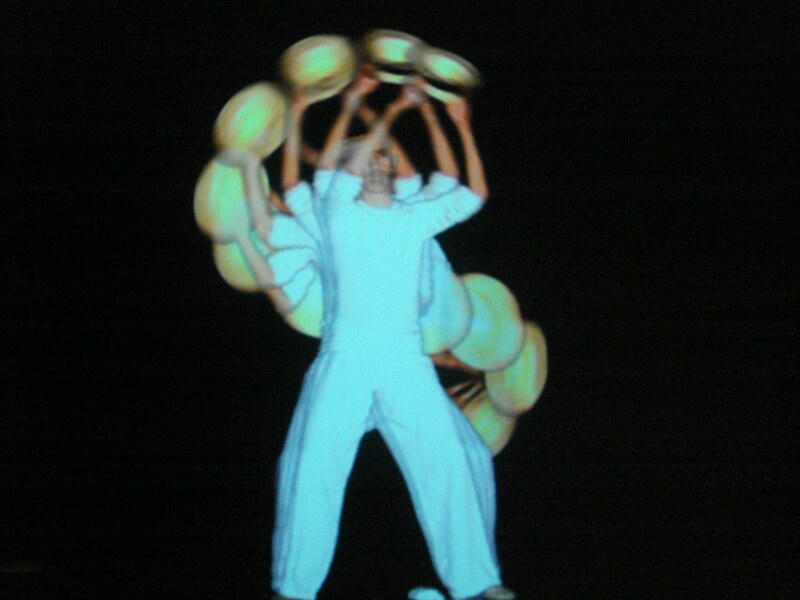 The core programming was presented during the festival as an interactive installation called ‘Playmodes’. 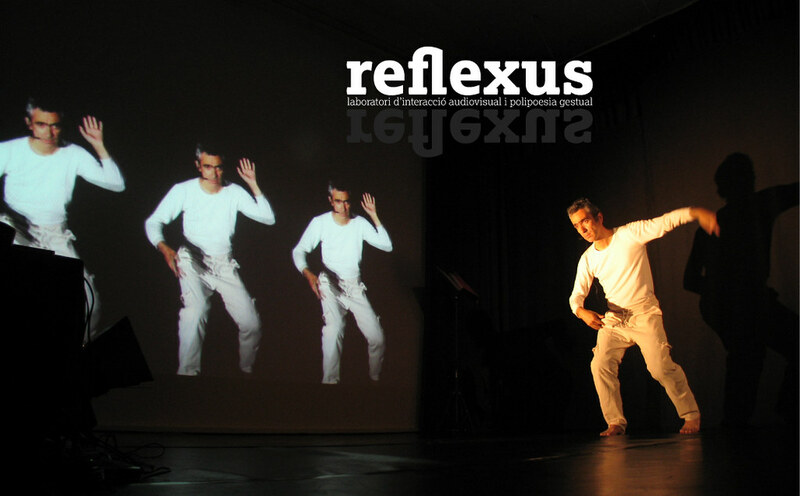 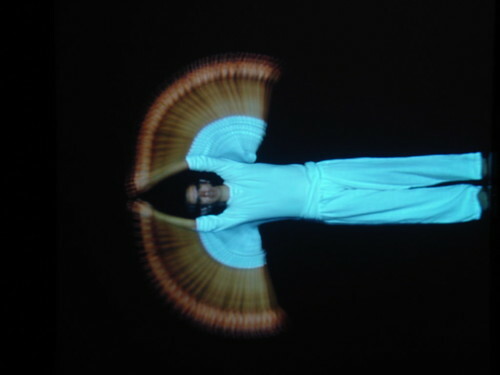 reflexus began to take shape during 2008, as a result of Eloi’s collaboration with Santi Vilanova. 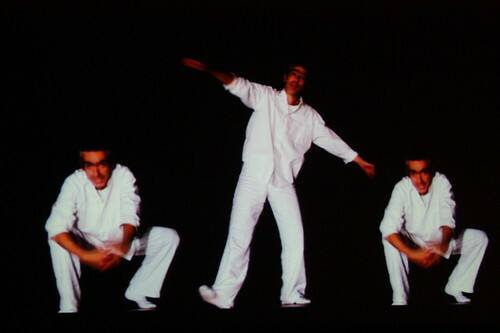 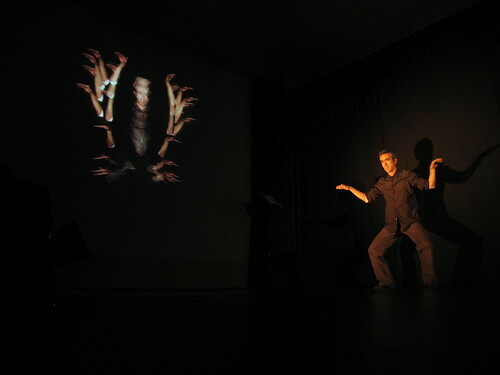 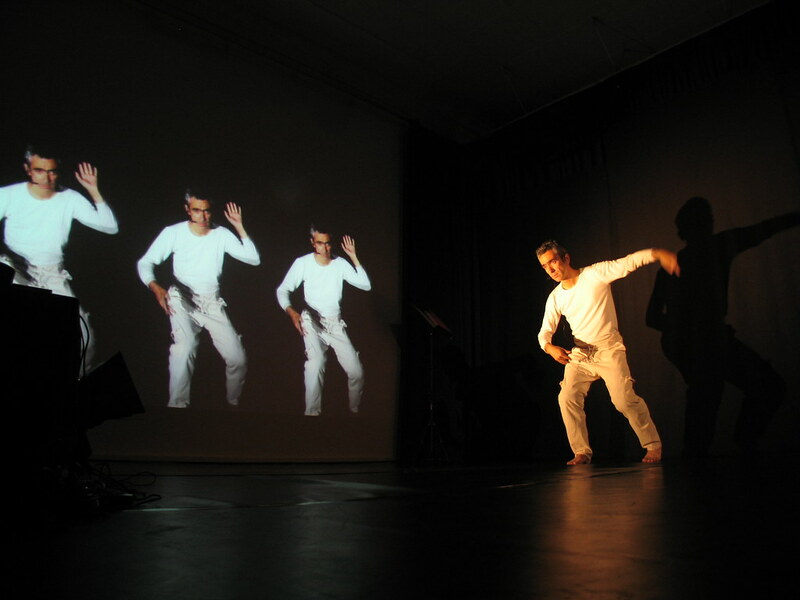 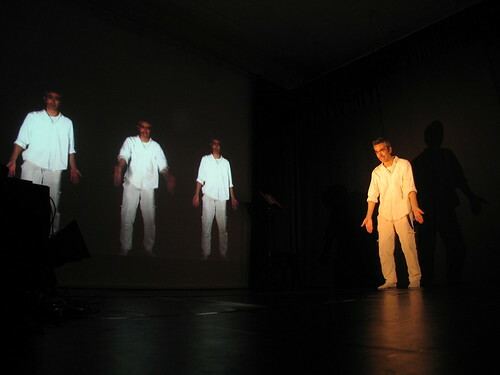 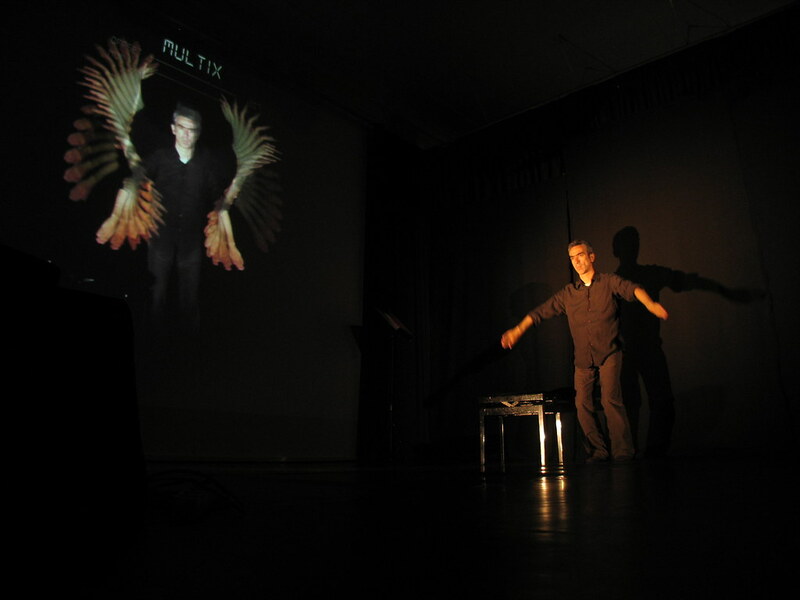 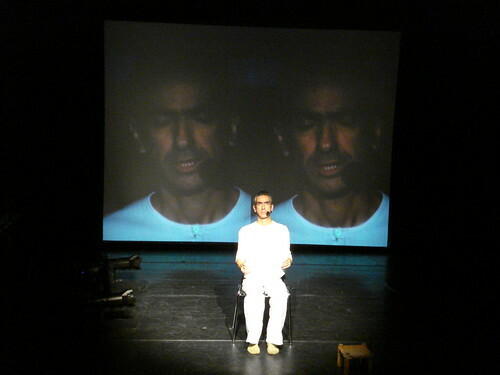 The initial concept and script were then applied to the live context with Jordi Teixidor, producing a first stage of ‘Playmodes’ that is adapted to gesture and the spoken word.